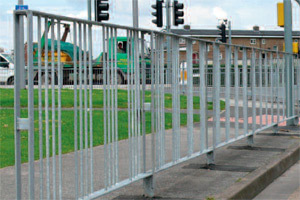 Visimax has been the leading high visibility guardrail for many years, establishing the principal of a see through post wide angle splays, non blocking flat sections and splays of bars tailored to precise visibility angles to maximise transparency. Visimax also offers the option of a visibility gap to increase dramatically transparency and provides the ultimate in vision, safety and transparency. 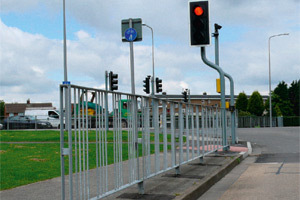 Visimax is available with our wide range of ornamental posts to create a wide choice of high visibility coupled with an aesthetic impact. 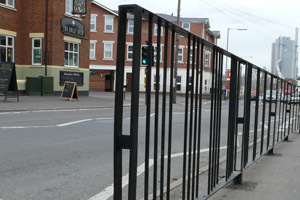 Levels of visibility in conjunction with attractive ornamental posts can be increased by providing see through posts with slots cut out, which in turn provides transparency through the panels and posts. 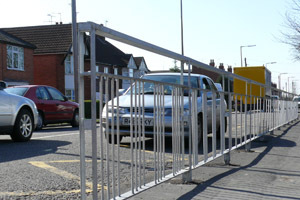 Visimax provides three times greater visibility distance than any other standard guardrail. 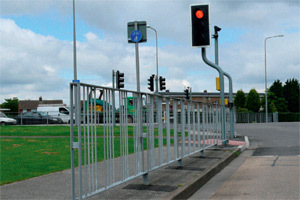 Drivers therefore not only see children and other potential hazards, such as cars emerging from side roads, they also have time to avoid collision. 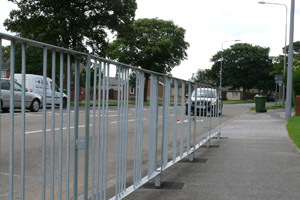 The use of visimax throughout the UK when replacing standard guardrails has shown a reduction in both pedestrian and vehicular accidents in excess of 50% improving road safety and reducing pedestrian and driver casualties.